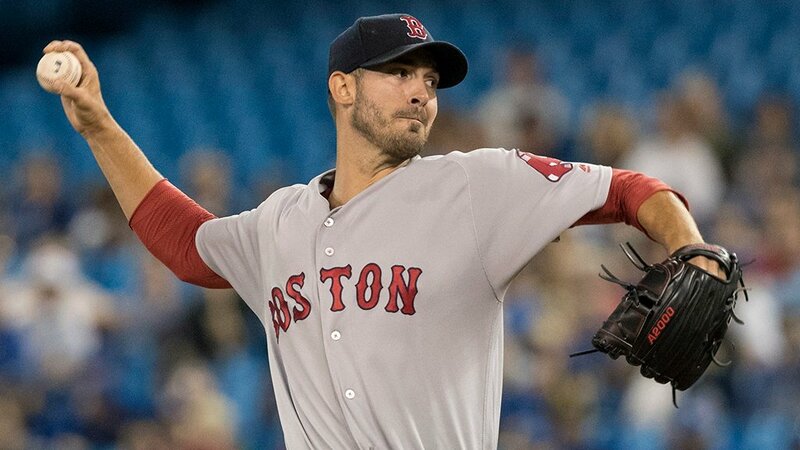 Hanley Ramirez and Mitch Moreland went deep, and Rick Porcello's second-half resurgence continued as the Red Sox completed a three-game sweep of the Toronto Blue Jays with a 7-1 win at Rogers Centre on Wednesday night. Porcello (pictured) went 6.2 innings allowing just a third-inning run on a solo homer by Raffy Lopez. He struck out seven as his record improved to 9-14. Ramirez tied the game with a home run in the top of the fifth and Moreland came off the bench to deliver a two-run shot in the seventh to give Boston the lead. The Red Sox added four more runs in the eighth inning on RBI doubles by Mookie Betts and Xander Bogaerts. Moreland singled home two more. Joe Kelly threw two scoreless innings of relief as Boston increased its lead in the American League East to 5.5 games over the second-place New York Yankees who were swept in a doubleheader by Cleveland. Dustin Pedroia and Jackie Bradley Jr. are both expected to be activated over the weekend against the Yankees with rosters expanding on September 1st.